This table was created with a large double pedestal base and a dark walnut stain to the entire table! 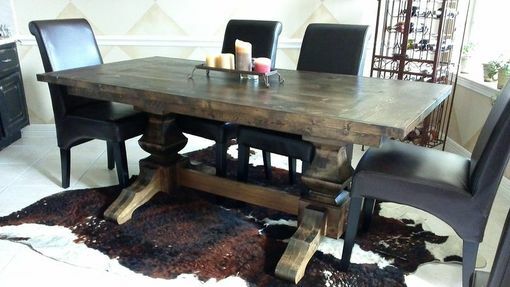 This table also came with two extensions for a longer table when company comes to visit! We can build this table any size for any space, and any color! Inquire today! 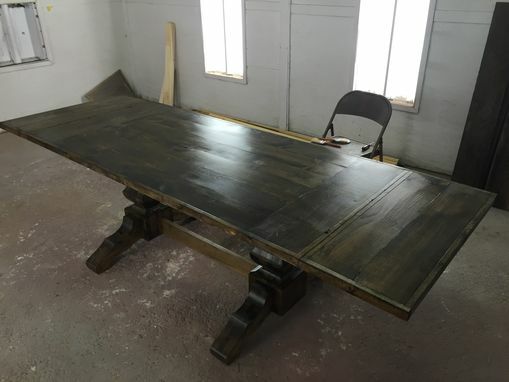 Farm table, dining table, conference table, reception desks, etc!